Setting up your business in Delhi sounds like a daunting proposition. There are a million things to consider, from your budget to the number of employees, or most importantly, the kind of office or coworking space you should go for and its location. Here, we will help you zoom into the best office hubs in Delhi and tell you why getting a coworking space to start your journey in one of these locations is going to be a great deal for you! 1. Nehru Place: Built in the early 1980s, Nehru Place is a prominent financial and business centre in Delhi. The presence of several Indian firms and commercial businesses in this area, coupled with a bustling IT sector, small-scale shops dealing with high-end mobiles and computer hardware-software, and a vibrant bazaar which caters to all office technology and infrastructure needs have made it a popular office hub. Further, with the advent of coworking spaces in this area in recent years, Nehru Place has become one of the most sought-after markets for establishing business entities in the Delhi NCR region. It is easily accessible by all forms of public transport, with bus stations and its own metro station on the Violet Line of the Delhi Metro, apart from being just 30 minutes away from the Hazrat Nizamuddin Railway Station. Not only is it well connected to all parts of Delhi, this area also boasts of a plethora of fine dining options, multiplexes and hotel chains. Therefore, it must be said that getting a office space in Nehru Place to set up your business would be an extremely prudent choice. 2. Lajpat Nagar: Named after the famous freedom fighter Lala Lajpat Rai, Lajpat Nagar was developed in the 1950s and is now one of the most famous commercial neighbourhoods of Delhi. Being a perfect blend of residential buildings and community markets, Lajpat Nagar provides budding entrepreneurs with the opportunity to work in a genuine close-knit environment. It is well connected by the Delhi Transport Bus Services as well as the Delhi Mass Rapid Transit System. The Lajpat Nagar Metro Station is also nearby, providing increased accessibility to all visitors. The Central Lajpat Nagar Market, Amar Colony Market and plenty of other hotspots for entertainment and shopping are in this region, which makes it a very popular office hub. The trade sector in this area is also expected to grow exponentially over the coming years, which makes it the premium spot for getting a coworking space or office here. Workly coworking space in Lajpat Nagar is one of the best bet to get started on your entrepreneurial journey! 3. Connaught Place: Connaught Place, popularly known as CP, is the most important business and commercial area of Delhi, containing not only the headquarters of several Indian firms, but also a marketplace which is well known all over the world. This has made it the best place to get a coworking space in Delhi. It was constructed in 1933 and was the crowning jewel of Lutyens’ Delhi. It is regarded as one of the top heritage structures of the city, with its architecture and circular pathways being famous all over. Located in the heart of the capital, Connaught Place can be easily reached by the Rajiv Chowk Metro Station on the Yellow Line. It is the focal point of the metro network, and is in close proximity to the New Delhi Railway Station. It also contains uncountable avenues for entertainment, shopping, dining and business, prominent among which are the famed underground Palika Bazaar, the Madame Tussaud’s Wax Museum, Central Park etc. This area invites the best of workers to come & establish their offices, and getting office space in Connaught Place will guarantee you a terrific head start in the competitive world of business. 4. Sarvodaya Enclave: One of the most affluent neighbourhoods in South Delhi, Sarvodaya Enclave is fast emerging as an office hub of importance. It is well known throughout Delhi for its artistic houses, which attracts interior decorators and other entrepreneurs from the creative fields in particular. It is easily accessible from the Hauz Khas Metro Station, and possesses a lot of banks, eating options, parks and cafes for its residents and visitors. Its wide roads, spacious buildings and lush green surroundings lend the area an air of tranquillity, which is a huge attraction to office workers, enabling them to enjoy peace in between their hectic work schedules. This has made Sarvodaya Enclave one of the most popular destinations for getting offices and coworking spaces in the Delhi NCR region. 5. Hauz Khas Village: Developed by DLF in the 1960s, the Hauz Khas Village started to get modernised in the 1980s and today it is famous throughout northern India for a large number of restaurants, bars, pubs and cafes in it. 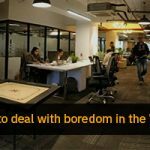 This has made it an extremely popular workspace destination or office hub for millennials, who firmly believe in the ‘work hard, play hard’ mantra. Located near the Hauz Khas Metro Station and well connected to all parts of the city, this area also houses the Indian Institute of Technology, National Institute of Fashion Technology and the Indian Institute of Foreign Trade among other educational institutions, which contribute a lot to the technological, fashion and commercial workforce of the nation. The Hauz Khas Village is home to a lot of creative minds and entrepreneurs who have established their business through coworking spaces in this area. So there you have it! The locations mentioned above are the best office hubs in Delhi. All you need to do now is to make a decision about which of them would be most suitable for your entrepreneurial or business needs.